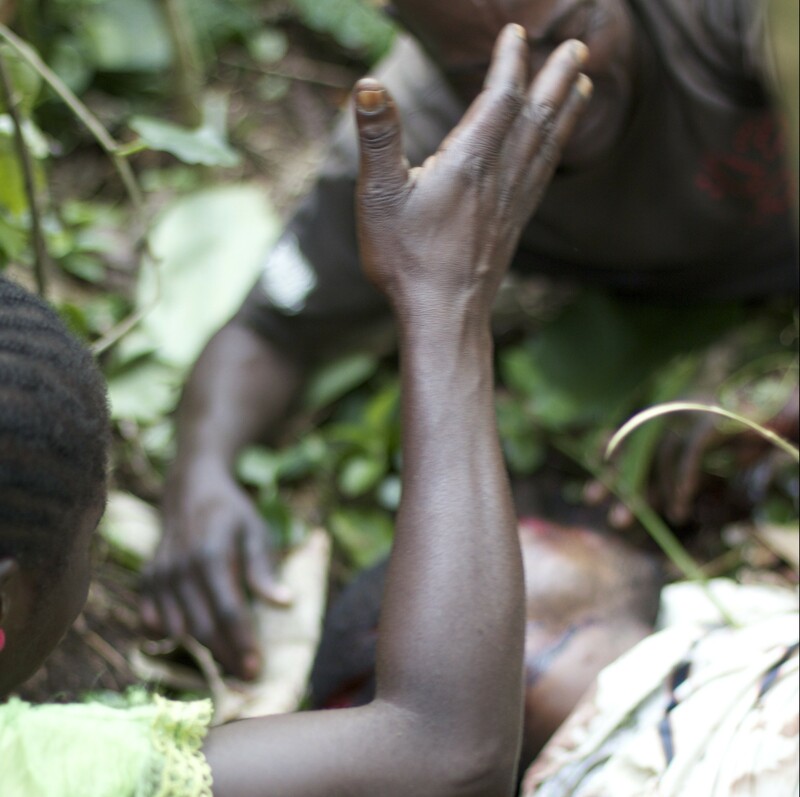 Congo Massacres Not the Work of Islamic Extremists. 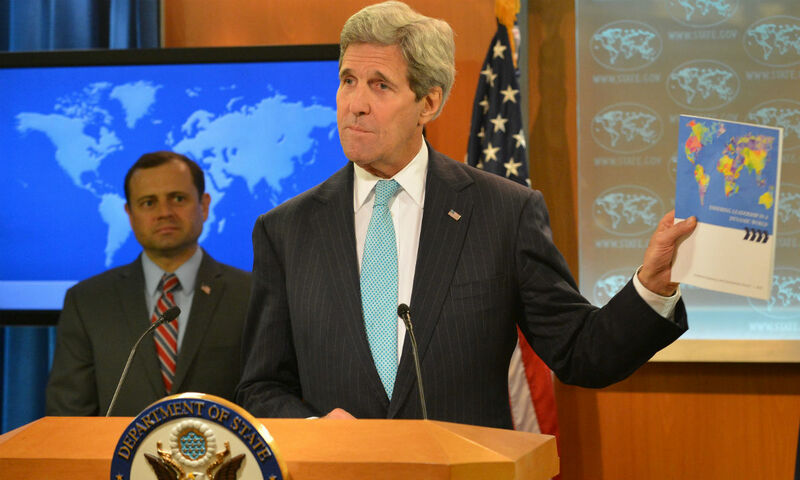 US Seeks Secession of Eastern Congo. Beni Territory sits in the Democratic Republic of the Congo’s (DRC’s) North Kivu Province, bordering Rwanda and Uganda. Rich in oil, timber, gold, diamonds, wolfram, coltan and cassiterite, Beni is a vivid example of the phrase, “Everybody wants a piece of Congo.” Now the indigenous people of Beni are being massacred for their land and its riches. The massacres in Beni Territory began in 2014. Estimates are that 60 people are killed every month. After the Aug. 13, 2016 massacres, the number of victims rose above 1,200. There is little doubt that the massacres are occurring because Beni is so rich in resources essential to the manufacture of modern life in the industrialized nations. However, Boniface Musavuli, Congolese human rights defender and author of Congolese Genocides from Léopold II to Paul Kagame, says that the aggression has been falsely attributed to Ugandan Islamist rebels. 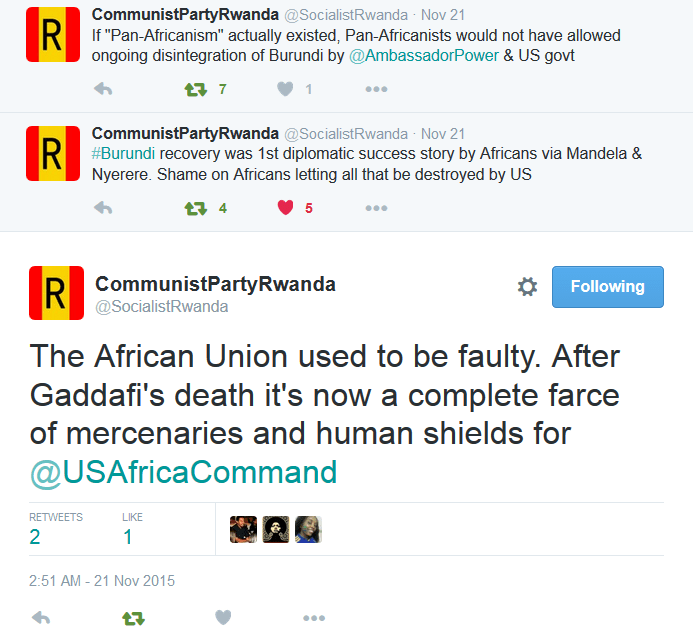 The truth is, he said, that the killers are Rwandans and Ugandans who want to eliminate indigenous Congolese people. Longstanding U.S. allies and military partners Rwanda and Uganda have long been accused of trying to annex the resource rich portions of eastern Congo across their borders. U.S. policymakers and pundits have advocated carving independent states out of eastern Congo as South Sudan was carved out of Sudan despite the war and human catastrophe that ensued. 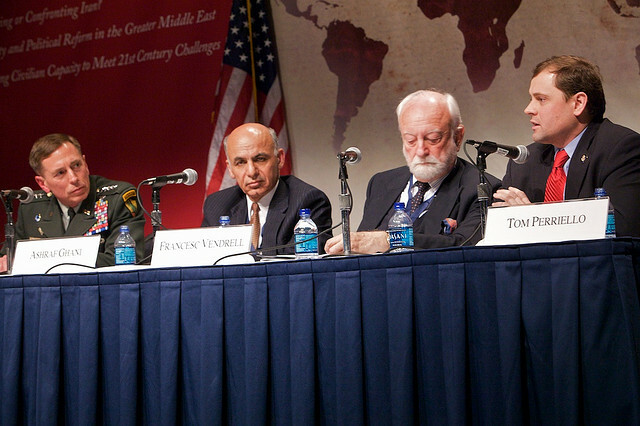 Advocates of partition have included Herman Cohen, a former U.S. Assistant Secretary of State for African Affairs, Johnnie Carson, another former U.S. Assistant Secretary of State for African Affairs, and John Prendergast, humanitarian militarist crusader and co-founder of the corporate funded ENOUGH Project to End Genocide and Crimes Against Humanity. ENOUGH operates under the umbrella of the Democratic Party’s corporate funded propaganda and influence peddling operation, The Center for American Progress (CAP). Beginning in 2014, Reuters, AP, and VOA wires reported that the Allied Democratic Forces (ADF), a phantom Ugandan Islamist group with alleged ties to Al Qaeda, Al Shabab, Boko Haram and even the Taliban, was responsible for the massacres in Beni. Many scoffed at the idea that this militia had suddenly reappeared after years of inactivity and recent reports by UN investigators have finally proven the Islamist militia theory to be a fraud. Many Congolese believe that the Congolese government of President Joseph Kabila is complicit in Rwandan President Paul Kagame and Ugandan President Yoweri Museveni’s attempts to annex portions of eastern Congo, and that Kabila needs Kagame and Museveni’s support to cling to power beyond presidential term limits. 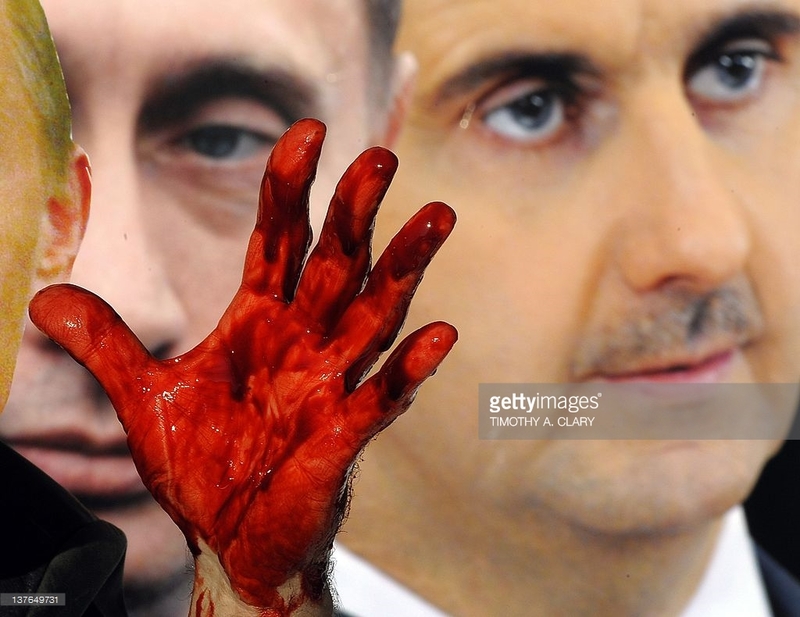 They point to new massacres in Beni that occurred shortly after recent meetings between the three presidents. Neither the U.S. government nor its NATO allies have chosen to add the indigenous people of Beni to their list of worthy victims crying out for humanitarian military intervention. MONUSCO, the United Nations Organization Stabilization Mission in DR Congo (DRC), has been either uninterested or ineffective in stopping the massacres. 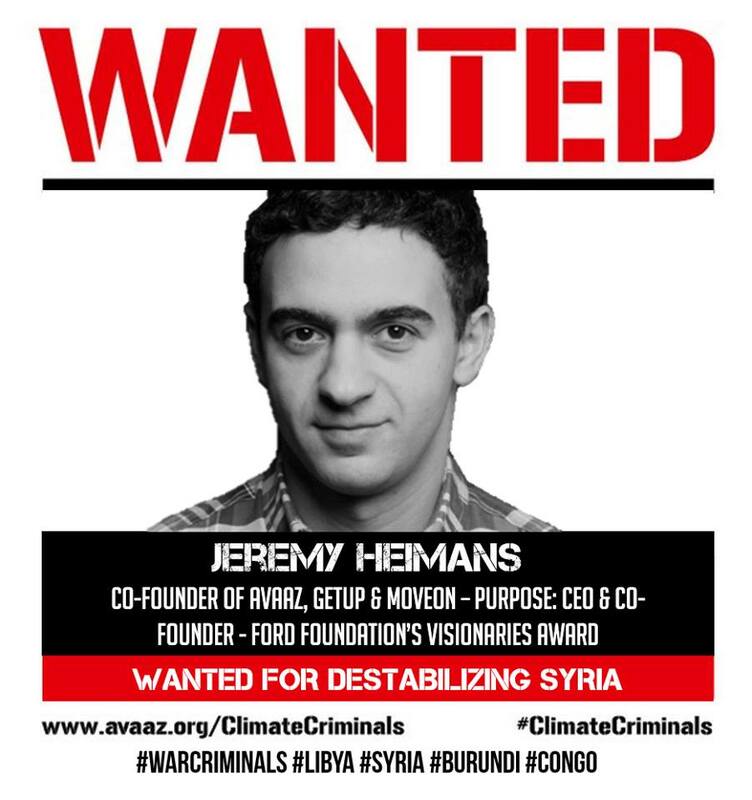 Who is behind massacres of indigenous people in Beni, DR Congo? KPFA News Anchor Sharon Sobotta: Beni Territory sits in the Democratic Republic of the Congo’s North Kivu Province, bordering Rwanda and Uganda. It is a vivid example of the phrase, “Everybody wants a piece of Congo.” Beni Territory is rich in oil, timber, gold, diamonds, wolfram, coltan and cassiterite. Now the people of Beni are being massacred for their land and its riches. KPFA’s Ann Garrison filed this report after speaking to a Congolese human rights defender and author of Congolese Genocides from Leopold II to Paul Kagame. KPFA:Musavuli Boniface, Congolese human rights defender and author said that the massacres in Beni Territory began in 2014. Estimates are that 60 people are killed every month. After the August 13, 2016 massacres, the number of victims rose above 1200. There is little doubt that the massacres in Beni Territory are in fact occurring because it is so rich in mineral resources essential to the manufacture of modern life in the industrialized nations. Musavuli said, however, that the aggression has been falsely attributed to Ugandan Islamist rebels with ties to Al Qaeda and Al Shabaab. The truth is, he said, that the killers are Rwandans and Ugandans who want to eliminate indigenous Congolese people to claim their land and resources. Musavuli Boniface: In reality, killers in Beni are individuals who are coming from Rwanda and neighboring Uganda. Their goal is severely to eliminate indigenous peoples in order to take ownership of their land rich in resources. KPFA: Rwanda and Uganda have been accused of trying to annex portions of Congo across their borders, and some U.S. policymakers and pundits have advocated carving independent states out of eastern Congo, as South Sudan was carved out of Sudan, despite the war and human catastrophe that ensued after South Sudan’s independence. Advocates of partition have included Herman Cohen, a former US Assistant Secretary of State for African Affairs, Johnnie Carson, another former US Assistant Secretary of State for African Affairs, and John Prendergast, humanitarian militarist crusader and co-founder of the ENOUGH Project. Beginning in 2014, Reuters and AP wires reported that the Allied Democratic Forces, a phantom Ugandan Islamist group associated with Al Qaeda and Al Shabab, was responsible for the massacres in Beni, though many scoffed at the idea that this militia had suddenly reappeared after years of inactivity. Recent reports by UN investigators have proven the Islamist militia theory to be a fraud. Musavuli confirmed that and added that the Congolese government may have used the Islamist extremist explanation to appeal to Western sympathizers and hide the fact that its own military officers were complicit in attacks on the indigenous people of Beni Territory. The U.S. reserves for itself the right to decide which nations and peoples are worthy to exist. Washington gives thumbs down to Hutus, who make up the vast majority in Burundi and Rwanda, and condemns the Houthis, a significant part of Yemen’s population. “The U.S. and its allies have deemed the Tutsis to be ‘worthy victims,’ the Hutus ‘unworthy victims.’” The same goes for Houthis targeted for death by the Saudis. Last week the U.S. helped its Saudi pals bomb another hospital and school in Yemen, killing 25, including at least 10 children. Don’t imagine that its intentions are any more humanitarian in? Burundi? just because they’re not selling fighter bomber jets, MK-84 laser guided bombs or GBU-31 satellite-guided bombs to their pal Paul Kagame, Rwanda’s president for life. Kagame is intent on bringing down President Pierre Nkurunziza’s government in Burundi, as Saudi sheikhs are intent on bringing down the Houthi government in Yemen. There are no multibillion dollar weapons sales motivating the U.S. to support a coup in Burundi, but access to the strategic mineral wealth required to manufacture weapons is among the stakes. Burundi has nickel, gold, copper, uranium, tungsten, tin, peat, platinum, limestone, vanadium, tantalum, niobium, kaolin and cobalt. Though its output has not yet been globally significant, its government has contracted with a Russian firm to mine its nickel reserves, and Bloomberg today quotes a Chinese source predicting a bull market in nickel just beginning. Nickel is used to make stainless steal, and nickel alloys are used in electronics, specialist engineering, space vehicles, submarines and the tubing used in desalination plants for converting sea water into fresh water. I haven’t seen Burundi’s mining contract with the Russian firm, but I’ve been told that the Russians valued the country’s nickel reserves far higher than Western firms and offered a much better deal. More importantly, Burundi shares a western border with the scandalously mineral rich eastern Democratic Republic of the Congo and an eastern border with Tanzania, an East African nation with an Indian Ocean port that is also leaning towards the East in the heightening competition between Eastern and Western axes of power. If the U.S. and Rwanda succeed in taking down the government of President Pierre Nkurunziza, we won’t see video of hair-raising Pentagon special effects. Instead we’ll hear more preposterous rhetoric about the world’s obligation to “intervene,” ignoring Burundi’s’ sovereignty, to “stop genocide” or “stop the next Rwanda.” This argument has also been used to justify war in Yugoslavia, Libya, Syria and even Iraq, where genetic damage caused by toxic U.S. munitions is the most literal genocide the world has yet seen. The “stop the next Rwanda” argument is more easily made in Burundi because Rwandans and Burundians are close to being the same people. They share both a border and a Hutu majority, Tutsi minority demographic. Their languages, Burundi’s Kirundi and Rwanda’s Kinyarwanda, vary only slightly. 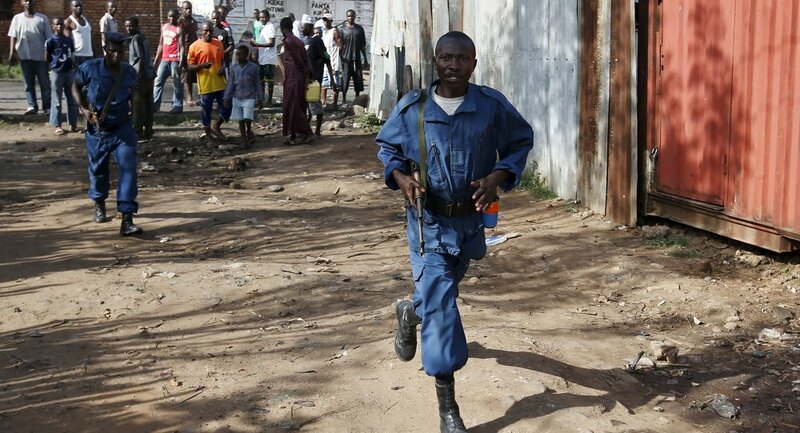 This recently shrill warning from the UN and the Voice of America — UN: Violence, Hatred Against Burundi Tutsis Could Presage Genocide — is one more in a steady stream published in the U.S. and European press since President Pierre Nkurunziza’s re-election in July 2015. In a nation in which these two groups, Hutus and Tutsis, have been historically polarized and have massacred one another in competitions for power, this is akin to shouting fire in a crowded theatre. If there is an outbreak of violence between Hutus and Tutsis in Burundi, the U.S. will bear huge responsibility as it did for the Rwandan war of 1990 to 1994, which ended in horrific massacres of both groups as U.S. ally Paul Kagame seized power. 1) Some, most notably Rwandan scholar Léopold Munyakazi, have argued that Hutus and Tutsis are best understood as social classes, not ethnic groups, and the Rwandan war of the 1990s as a class war, not a genocide. Hutus and Tutsis share the same language and culture, eat the same food, and marry each other, and the vast majority are Christian. The Tutsis were a pre-colonial ruling class, the Hutus their peasant subjects, until the Hutus rose up in 1959, in what is sometime called the Rwandan Revolution, sometimes the Hutu Revolution. 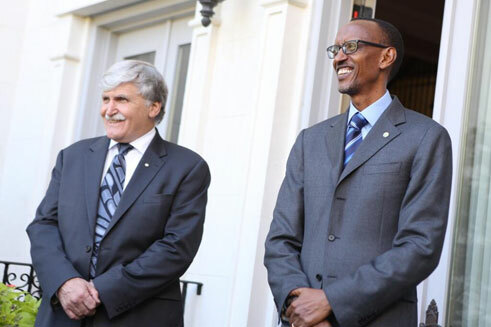 By 1961 Rwanda had transitioned from a Belgian colony led by a Tutsi monarchy to an independent nation led by elected Hutu politicians and intellectuals. 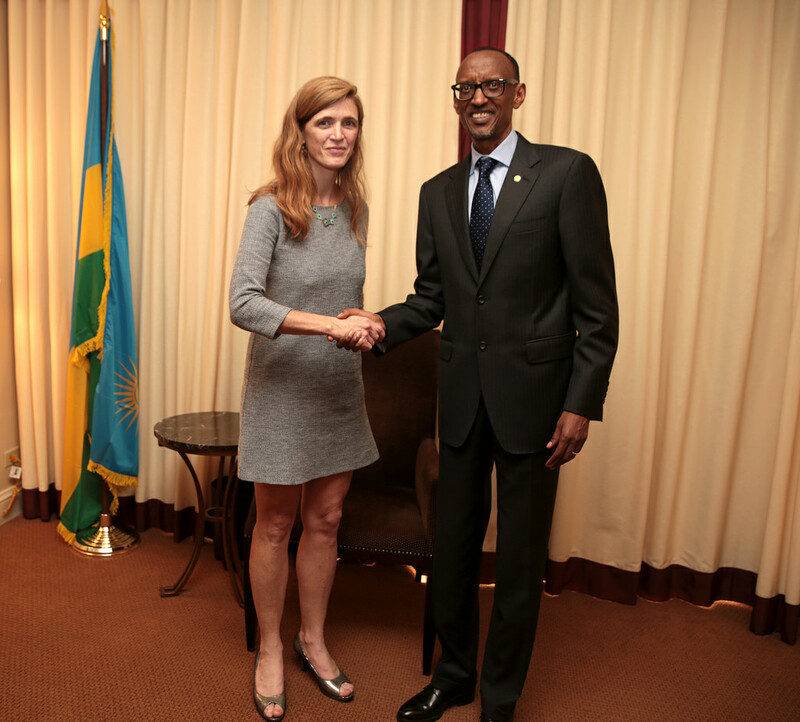 2) In 1990, U.S.-backed Tutsi general Paul Kagame led a refugee army that invaded Rwanda from Uganda to seize power, re-establish a de facto Tutsi dictatorship, and establish the U.S. as the dominant power in Rwanda, displacing France. 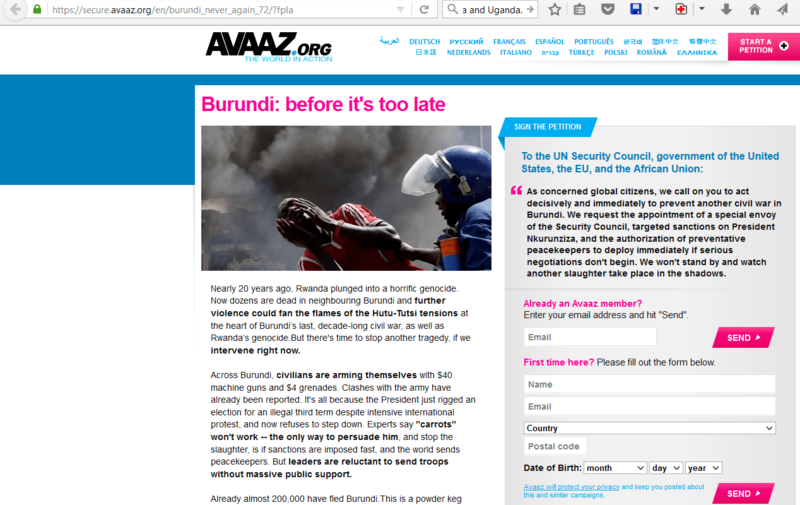 The U.S., Europe and Israel have long found it convenient to favor the Tutsis and depict them as the endangered minority without acknowledging that Hutus suffered for centuries under the Tutsi ruling class or that Hutus as well as Tutsis were massacred by extremists in what came to be known as the Rwandan Genocide. In Rwanda and Burundi, the U.S. and its allies have deemed the Tutsis to be “worthy victims,” the Hutus “unworthy victims,” in the parlance of Professor Edward S. Herman, co-author with David Peterson of The Politics of Genocide and Enduring Lies: Rwanda in the Propaganda System 20 Years On. 3) On October 21, 1993, violence and massacres broke out in Burundi after elites in the Tutsi army assassinated the first Hutu president, political intellectual Melchior Ndadaye. Hundreds of thousands of Burundians, mostly Hutus, were slain, largely because the Tutsi elite still controlled the army. A civil war began and didn’t end until 2005. President Pierre Nkurunziza is a Hutu, but Hutus and Tutsis have been integrated in both the government and the army, with the Tutsis enjoying larger percentages because they are perceived, as the minority, to be in greater need of representation. Now, to repeat two points about the assassination of three presidents: On October 3, 1993, massacres and then civil war broke out in Burundi after the assassination of the country’s first Hutu president, Melchior Ndadaye. On April 6, 1994, Rwanda’s famous hundred days of massacres broke out after the assassination of two more Hutu presidents, Rwanda’s Juvenal Habyarimana and Burundi’s Cyprien Ntaryamira. 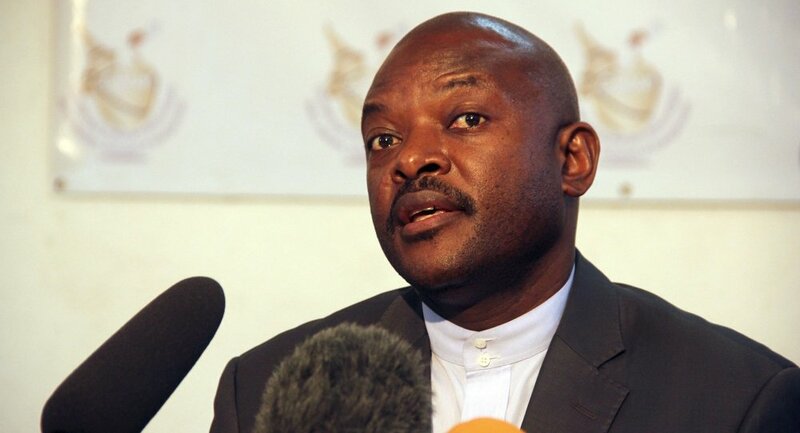 Therefore, if the U.S. were really trying to prevent genocide in Burundi, wouldn’t they be trying to prevent the assassination of another Hutu president, Burundi’s Pierre Nkurunziza? Rwandans and Burundians who understand this history know that Nkurunziza’s assassination would be a catastrophe and know that U.S.-backed insurgents would like to assassinate him, whether the U.S. approved such a plan or not. The months since Nkurunziza’s re-election in July 2015 have been punctuated by the assassination of upper-level army commanders and government officials close to him. I then contacted the U.S. State Department and asked whether they were not alarmed by AFP’s report of mortar fire aimed at the presidential palace, considering that the massacres of the 1990s in both Rwanda and Burundi had broken out after the assassination of Hutu presidents. 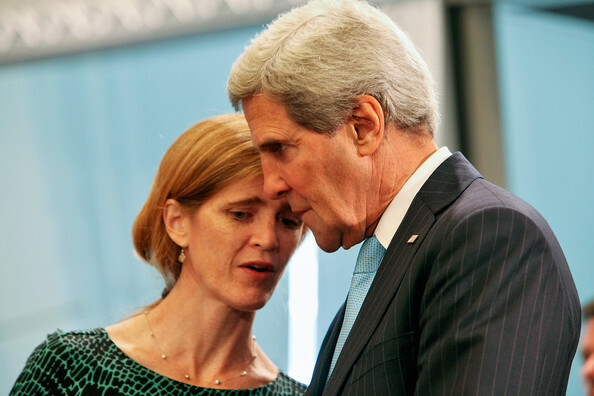 Like the Houthis in Yemen, the Hutus have been deemed unworthy victims by the U.S. State Department, though for centuries they were the oppressed class in what is now Rwanda and Burundi, and though hundreds of thousands of them, perhaps as many as a million, have been massacred in the horrific violence of the last 50 years in Rwanda, Burundi and the Democratic Republic of the Congo. Like most Burundians and Rwandans that I know — Hutus and Tutsis — I would love to see this virulent bigotry land in the dustbin of history along with the “Hutu” and “Tutsi” distinctions that have alienated people in this part of the world from one another, but that will not happen so long as the West gives singular victim status to the Tutsis and demonizes the Hutus in its humanitarian interventionist ideology. The world is calling for a commitment to a 100% clean future at the climate summit in Paris. But a group of climate criminals is trying to stop that deal. Their tactics are different, but their end game is the same: shift the focus away from emissions targets and keep fossil fuels at the centre of human development. Some even argue that more money should be spent on coal – the worst carbon-polluting fuel. Most get paid by fossil fuel companies like Exxon to speak against climate action. Some of them have launched extreme public attacks against scientists and others. Grassroots groups across the world are calling for a dismantling of the suicidal capitalist economic system. But a group of climate criminals (also known as the non-profit industrial complex) is trying to stop this imperative. Their tactics are different, but their end game is the same: shift the focus away from necessary emissions targets and keep first world consumption and the capitalist economic system dependent on infinite growth at the centre of “human development”. Some even argue that more money should be spent on a third industrial revolution – all of which is fossil fuel based and fossil fuel dependent. Most get paid by foundations such as Rockefeller to create acquiescence to the expansion of corporate power and privatization. 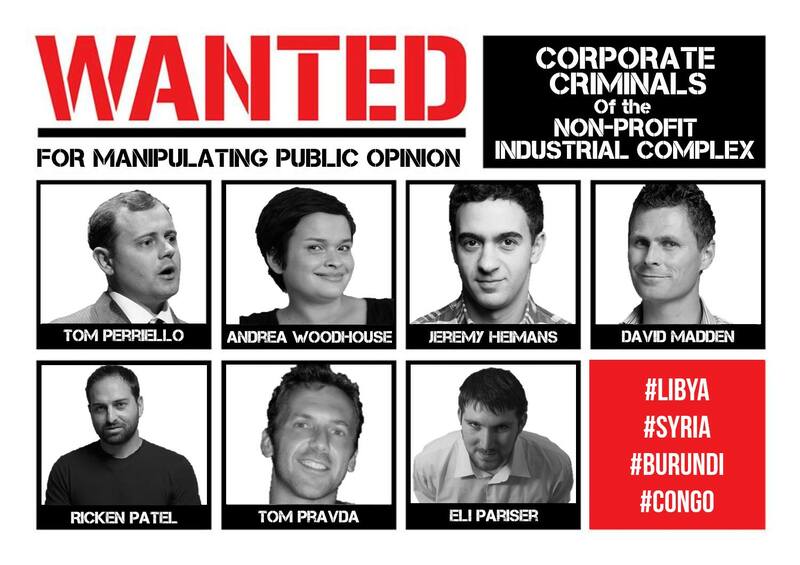 Some of them have launched extreme public attack campaigns to feign legitimacy, but ultimately they defend the current power structures (upon which they depend and often are created by) and capital while advancing imperial interests and western ideologies throughout the globe. 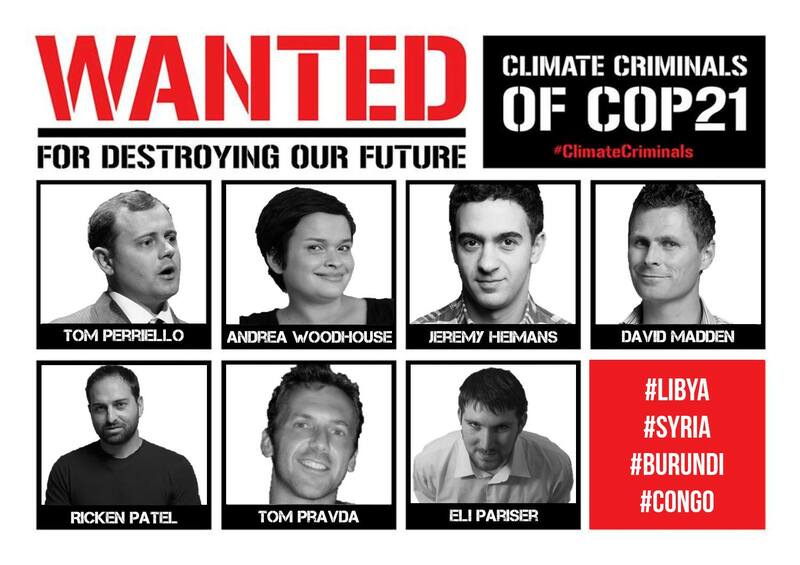 That is why Avaaz is exposing the seven biggest climate criminals attending the COP21 Paris climate summit. We are publishing their photo and their biographies and insider dossiers on their activities to shine a spotlight on their dirty backroom dealings and stop them from destroying our future. That is why WKOG is exposing the seven biggest criminals accelerating climate change and destabilizations/wars. We are publishing their photo and their biographies and insider dossiers on their activities to shine a spotlight on their dirty backroom dealings and stop them from destroying our future. Tom Perriello is a long-time collaborator with Avaa co-founder Ricken Patel. 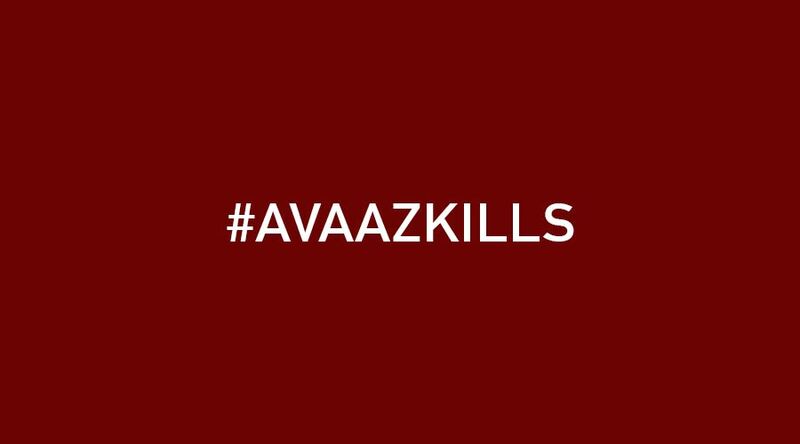 Together, they co-founded Avaaz.org, Res Publica and FaithfulAmerica.org. Perriello is a former U.S. Representative (represented the 5th District of Virginia from 2008 to 2010) and a founding member of the House Majority Leader’s National Security Working Group. 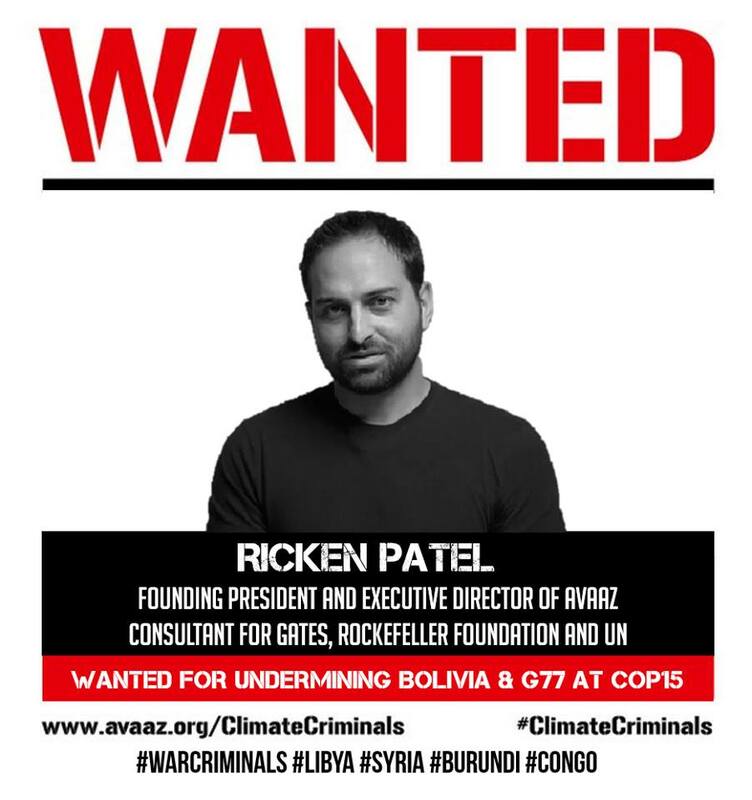 Perriello and Patel also co-founded and co-directed DarfurGenocide.org which officially launched in 2004. “DarfurGenocide.org is a project of Res Publica… Today, this organization is now known as “Darfurian Voices”: “Darfurian Voices is a project of 24 Hours for Darfur.” The U.S. Department of State and the Open Society Institute were just two of the organization’s funders and collaborating partners. Other Darfurian Voices partners include Avaaz, the National Endowment for Democracy (NED), International Centre for Transitional Justice, Darfur Rehabilitation Project, Humanity United, Darfur People’s Association of New York, Genocide Intervention, Witness, Yale Law School, The Sigrid Rausing Trust and the Bridgeway Foundation. Of all the listed partners of DarfurGenocide.org, with the exception of one located in London, England, all of the entities involved are American and based on U.S. soil. 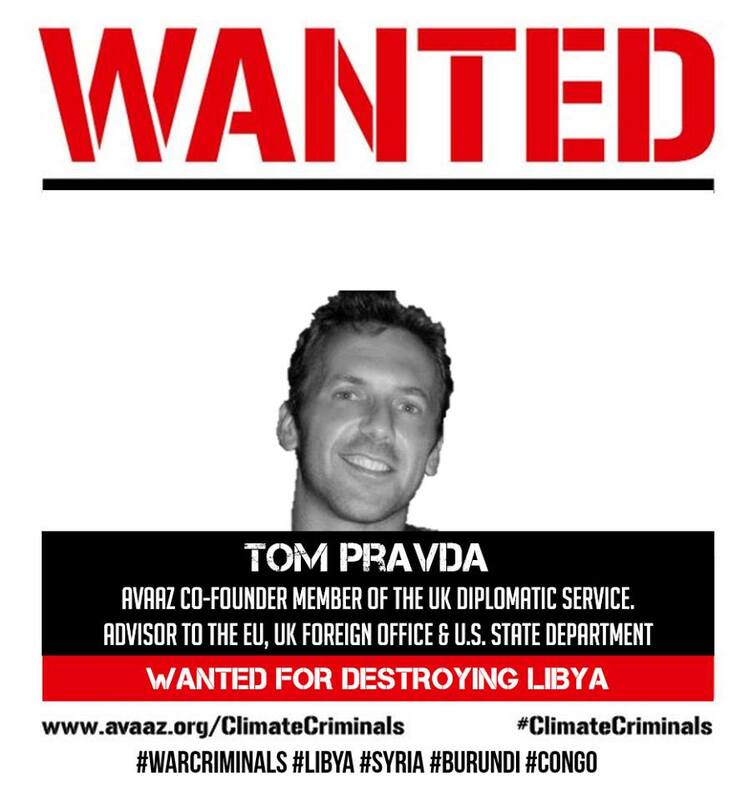 Pravda is a specialist in the Great Lakes Region/DRC, where he advised/advises the U.S. State Department, the UK Foreign Office and the European Union on diplomatic, security and development strategies and programming for the region. 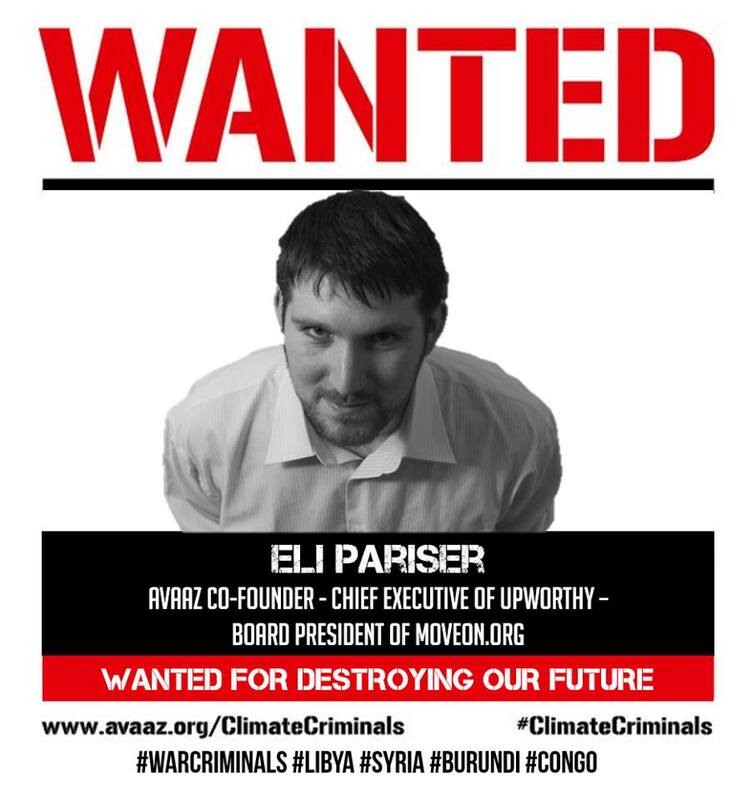 Pariser has recently aligned himself with SumOfUs as a U.S. Advisory Board member and is a co-founder of Upworthy (which works to make trending issues go viral online). 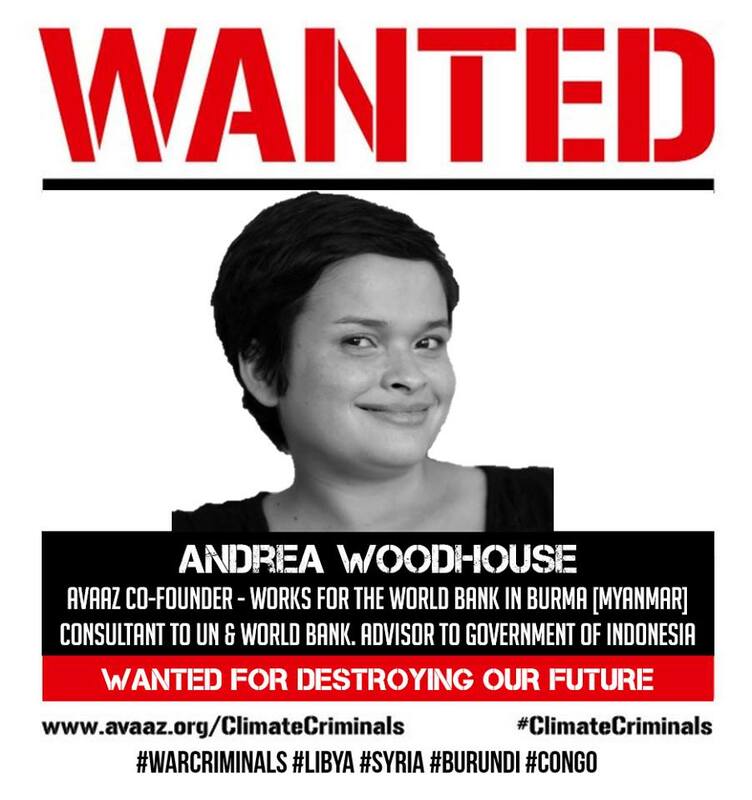 Avaaz co-founder Andrea Madden works for the World Bank in Burma [Myanmar]. 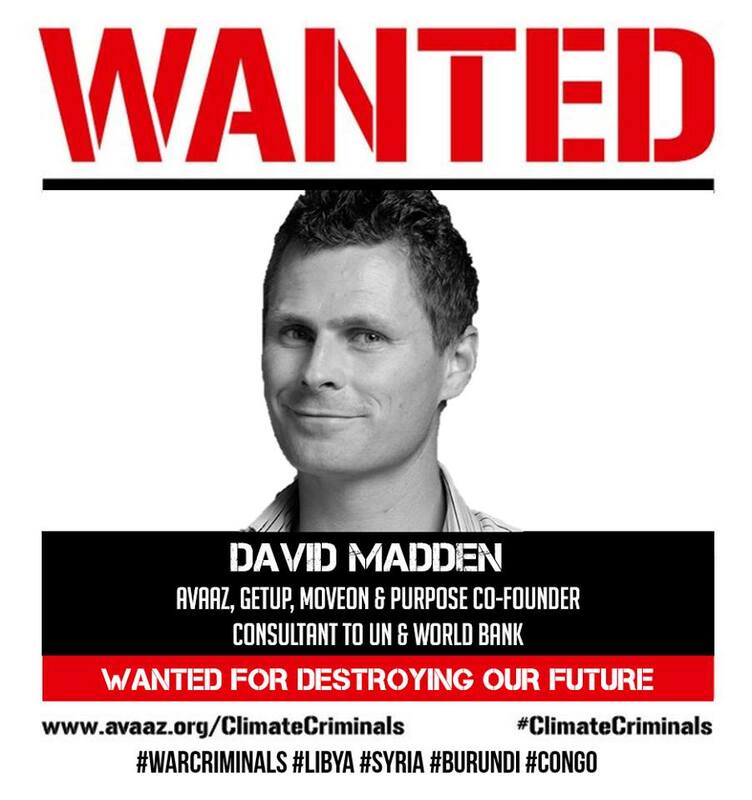 Her husband is Avaaz co-founder David Madden who has taken up residence in Burma (see above).